Brad Nadeau launched a Kickstarter campaign last year to raise funds for the brewery at 8 Varney Road. The flavor of Marine life, known quite well to Brad Nadeau, is as powerful as the beers he’s spent years perfecting. 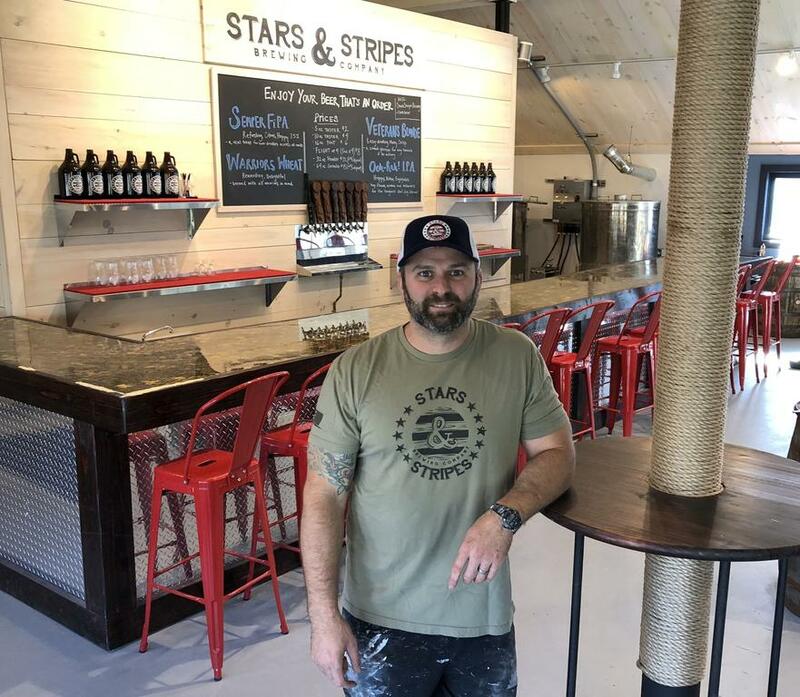 Years of work and investment will culminate next weekend when the former Marine Corps sergeant opens Stars & Stripes Brewing Co. at 8 Varney Road. Preparing for opening day has been a nonstop labor of love, he said, and he plans during at least the operation’s first year to be on site every day as the face of the business. He said he is deeply proud of the business born out of a home brewery he operated the past three years in his West Cumberland garage, using 380-gallon stainless steel tanks. That has grown into the five brew tanks Stars & Stripes is leasing from Justin Fletcher, with whom Nadeau has worked in construction. Nadeau and his wife, Nancy, who has a background in marketing, raised $10,000 six days into the campaign. The one-month fundraiser attracted 142 backers, who pledged $22,300. The Nadeaus, who worked with the U.S. Small Business Administration to get the loan needed to get the project off the ground, will host the SBA and other organizations from 2-4 p.m. Friday, Nov. 9. The brewery will be open to the public from about noon to 5 p.m. that day, and also on Saturday, Nov. 10, to celebrate the 243rd birthday of the Marine Corps. The official kickoff of Stars & Stripes will be Sunday, Nov. 11, from noon to 6 p.m. – just in time for Veterans Day. Nadeau hopes to host a food truck, and customers will be allowed to bring their own food, or order food from Antonia’s. Initial hours will be 2-6 p.m. Wednesday through Sunday; Nadeau said he expects to be brewing on Mondays and Tuesdays.